Heinz Rökker was born on 20 October 1920 at Oldenburgh. He joined the Luftwaffe in October 1939 and began flying training with Flieger-Ausbildungs-Regiment 22 at Güstrow in July 1940. In August 1941 he attended Blindflugschule 5 at Belgrade-Semlin before completing his training in September 1941 at Nachjagdschule 1 at Neubiberg near München. Rökker was posted to I./NJG 2 operating in the Mediterranean theatre on 6 May 1942. Leutnant Rökker was assigned to 1./NJG 2. On 20 June 1942, Rökker shot down a RAF Beaufort twin-engined bomber, by day, over the Mediterranean Sea whilst transiting from his base at Catania to Kalamaki in Greece. His aircraft received 25 hits from return fire during the action but he landed safely at Kalamaki. From bases in Libya, he undertook intruder missions over Egypt claiming four RAF Wellington twin-engined bombers shot down. On 4 August 1942, 1./NJG 2 was relocated to Belgium. Rökker was appointed Staffelkapitän of 1./NJG 2 on 15 December 1942.  1./NJG 2 was relocated back to the Mediterranean theatre based in Sicily on 16 February 1943. Rökker undertook night fighter missions over Sicily and Tunisia, recording a RAF Wellington twin-engined bomber shot down near Marsalla on the night of 19/20 April to record his sixth victory. On 2 July 1943, Rökker led the unit back to northern Europe to undertake Reichsverteidigung duties. Rökker enjoyed much success at this time, claiming three victories on each of the nights of 15/16 March 1944 (12-14), 22/23 March (15-17) and 24/25 March (18-20). Rökker was appointed Staffelkapitän of 2./NJG 2 on 1 April 1944. On the night of 6/7 June, he claimed five British bombers shot down in the area of the Allied landings in Normandy (29-33). 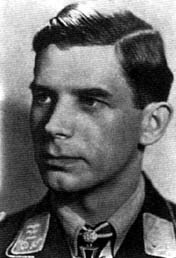 Oberleutnant Rökker was awarded the Ritterkreuz on 27 July 1944. He recorded his 40th victory on the night of 7/8 August. On the night of 4/5 November, he shot down four enemy aircraft (42-45). He recorded three victories on the night of 3/4 February (50-52). He claimed six enemy aircraft on the night of 21/22 February (56-61). Hauptmann Rökker was awarded the Eichenlaub (Nr 781) on 12 March for 60 victories. On the night of 15/16 March, Rökker recorded four enemy aircraft shot down (61-64) as his last victories of the war, including a RAF Mosquito twin-engined bomber shot down over his airfield at St Trond. Heinz Rökker was credited with 64 victories in 161 missions. He recorded 63 of his victories at night, including 55 four-engined bombers.